Planning a garden clean-up, a home DIY project or looking to move house? Then, a FLEXiSKiP is the perfect solution for you. Built light, but tough, each FLEXiSKiP can take up to one tonne of waste (that's 1000kgs!). And with a flat-rate collection cost, you can be assured you won't be charged with any hidden weight charges! Delivered in a compact box, you can use your FLEXiSKiP when it suits you. 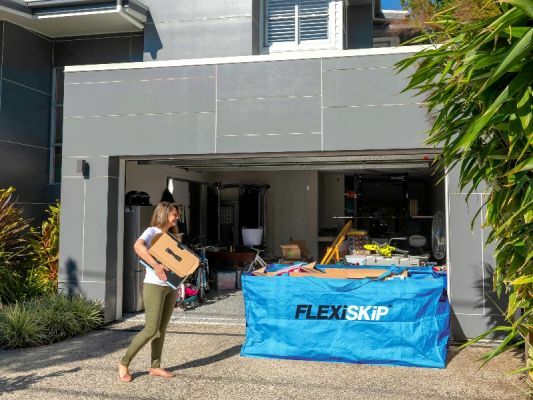 Designed to be moved around, you can start filling your FLEXiSKiP anywhere around the home or yard, then carry it to the kerb as it starts to get heavy.